I could be biased, but I think Melbourne’s picnic spots are among some of the best in the world. We have all kinds of open green spaces across this great city, from native, untouched woodland to historic, formally-planted heritage gardens – and best of all, they’re plentiful. Whichever suburb you find yourself in will have a beautiful space in which to crack open a picnic basket, and these are a few of my favourites. Print a map of the park from the Council’s Junior Rangers site before you go, and your youngsters can get up close and personal with the flora and fauna that Queens Park is full of (you can even borrow ranger kits or build your own with magnifying glasses and binoculars). There are shady trees aplenty and vast expanses of lush green grass to pull up a spot and lay down a picnic blanket. For energetic little ones there is a fantastic playground and for historic-minded older kids, there are plenty of memorials and sites to discover. 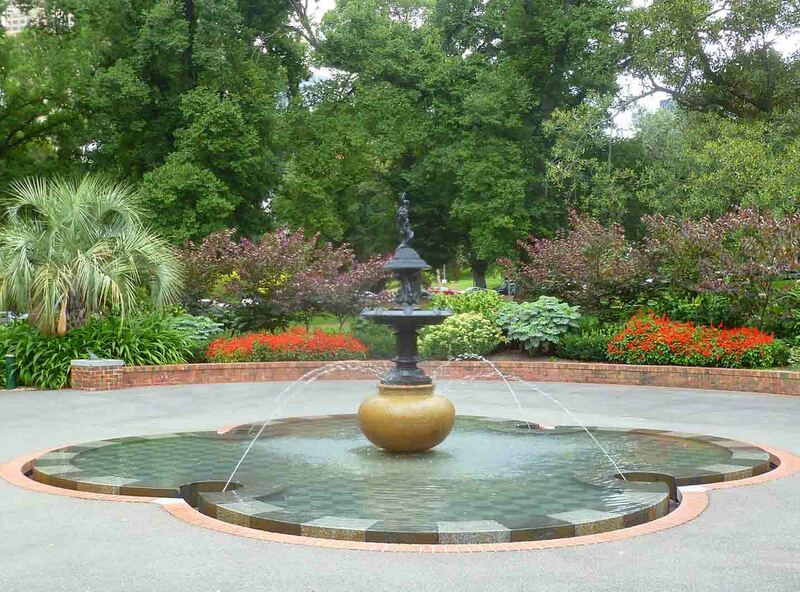 There is a large lake complete with fountain in the middle of the park, so keep that in mind if you have a bolter! There’s something about Coburg Lake – its so serene despite its size and popularity. The rustling of the giant trees and the squabbling of the birds, ducks, and geese go a long way to drowning out the noise of traffic. The lake made from the old bluestone quarry is tranquil, and for the more energetic among you, there are three playgrounds, including the tons-of-fun Doug Hull Space Playground. Plenty of picnic tables, shaded and unshaded seating, rolling green grass, toilets, and a few BBQs. A really great place to while away a weekend day. 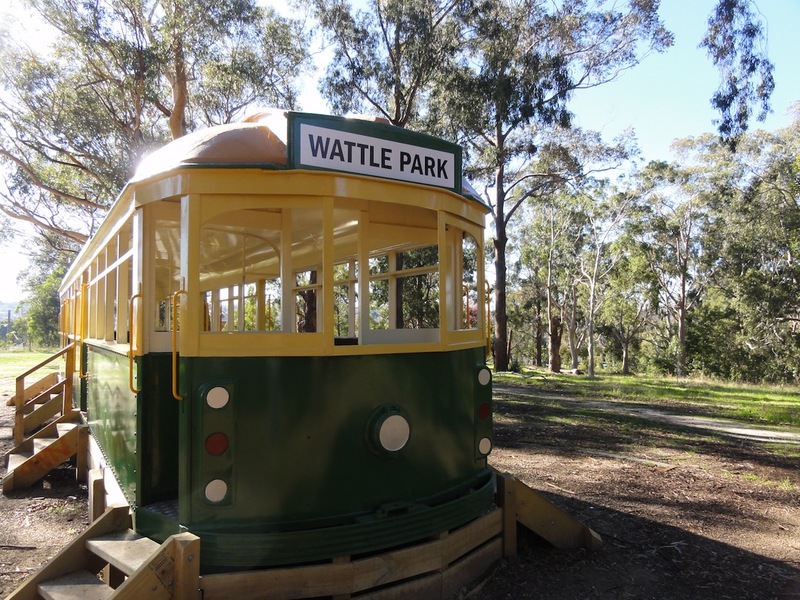 Set your goodies up among the historical buildings and soaring gum trees, or make use of the picnic tables scattered around the very eye-pleasing Wattle Park. The wattle and seasonal wildflowers are especially brilliant in spring, but honestly, the park is beautiful any time of year. The nearby playground has two cool old trams for kids to clamber around on while they’re waiting for grub, and anyone can take a post-lunch spin on the tennis courts or 9-hole golf course. Fitzroy Gardens is one of my favourite places to picnic in Melbourne, the Captain Cook Cottage and mini Tudor Village get me every time! 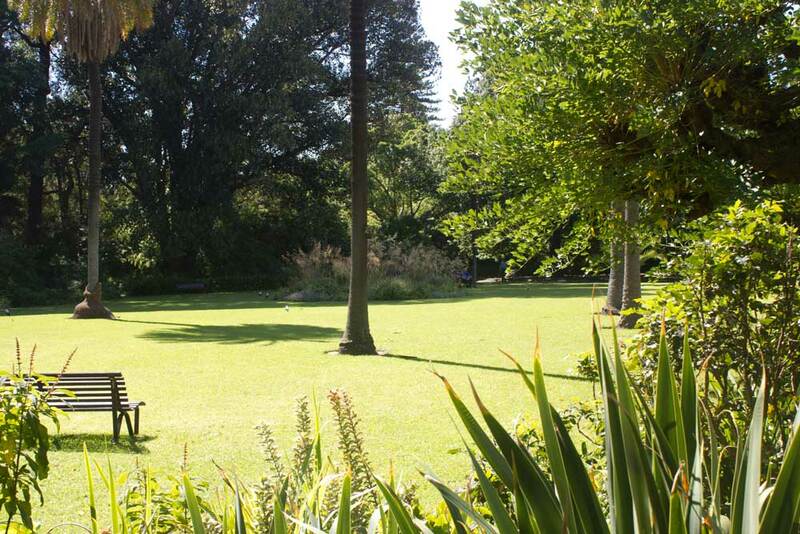 A short walk from the city centre, the heritage-listed gardens are a great place to explore. I love the hidden artworks and frequent fountains, and the kids love coming across yet another play space (and the fairies tree, of course). 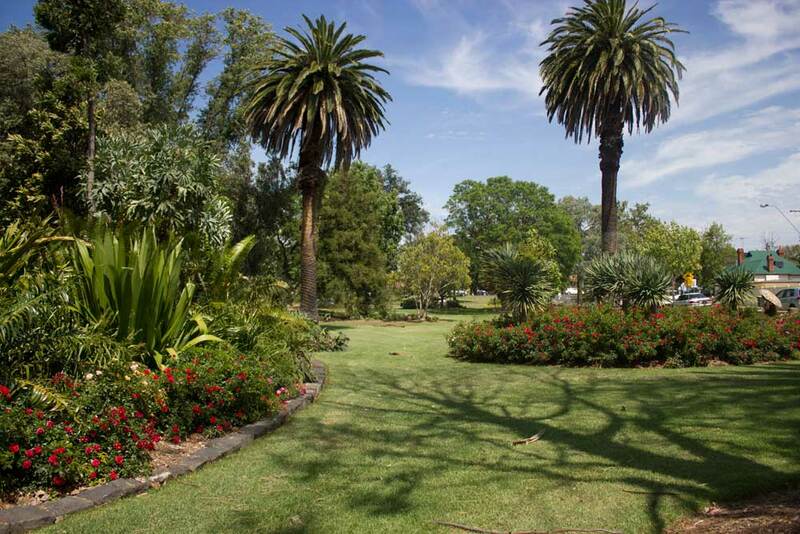 The Victorian-era feel and exceptional trees and ornamental shrubs make it feel like you’re half a world away from the middle of one of Australia’s busiest cities. It’s not hard to see why it’s so popular not only with families, but folk who work in the surrounding buildings on their lunch break. If you haven’t Instagrammed the bandstand, did you ever really go to Edinburgh Gardens?! 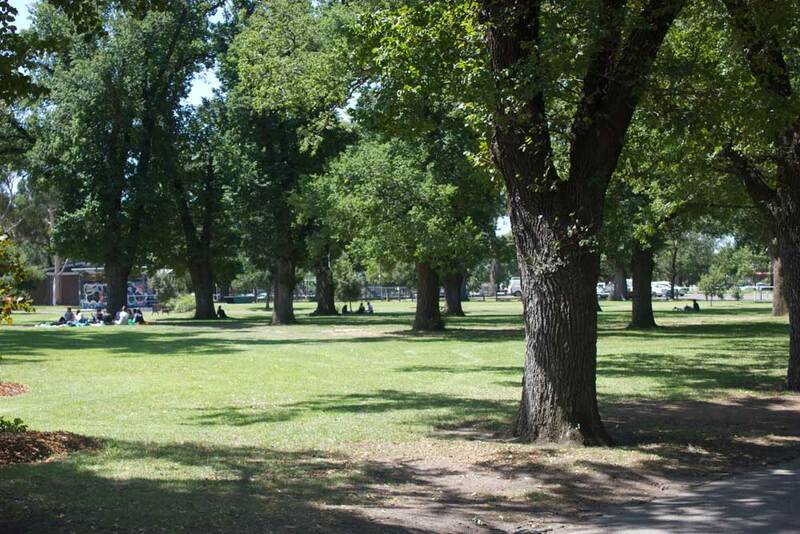 One of the most popular parks in the north for kicking a footy, playing cricket, having a picnic, letting the kids run around, and generally just sitting and enjoying the surrounds. 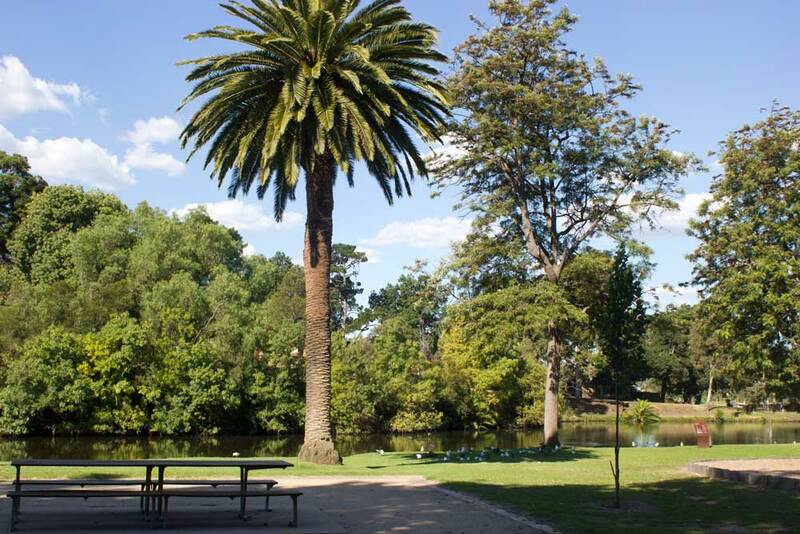 Where’s your favourite place in Melbourne to have a picnic?